Should You Take the SAT or ACT? Take This Quiz First! The eternal struggle amongst high schoolers: should you take the SAT or ACT? Long story short, it doesn't really matter which one you take to colleges, but they are different tests, and one might fit you better than the other. That's why we put together a little quiz to help you choose! But first, we’re going to break down the differences between the SAT and ACT, so it doesn’t just sound like your counselors are throwing acronyms at you all year. The SAT and ACT are standardized tests high school juniors and seniors (typically) take for college admittance. Colleges do not have a preference of which test you take, so that’s why it is imperative you know which test will help you show colleges you know your stuff! The SAT just got a whole new make over, rolling out March 2016! (Here’s what’s changing.) The ACT is staying the same. The SAT has three sections: Reading, Math, and (soon-to-be optional) Writing. The ACT has five sections: Reading, Math, Science, English, and (optional) Writing. The ACT has more challenging math questions than the SAT. The SAT is accompanied by a formula sheet; the ACT is not, meaning you will have to memorize the formulas. The ACT reading portion is more focused on grammar than the SAT. The wording on the SAT is somewhat more sophisticated and eloquent than the ACT, which is generally considered to be more straightforward. The ACT gives less time for the sections than the SAT, especially in the math portion. In the ACT, you have 60 minutes to answer 60 math questions. The ACT costs $56.50 with the essay, $39.50 without. The SAT costs $54.50 with the essay, $43 without. There are 7 test days for the SAT. There are 6 test days for the ACT. The SAT has 154 questions. The ACT has 215 questions. Should you take the SAT or ACT? Take our quiz! Are you good at memorizing formulas? Yes! I’ve got the quadratic formula on lock! Can you handle doing math for an hour straight? I’m all about that trig! Are you good with analyzing scientific graphs and charts? Heck, yeah! That’s my element. How bountiful is your lexicon? Let’s stop with the big, fancy words. From what you’ve read, which test do you think you’re best suited for? Mostly 1’s: You’re probably more structured for the SAT! Mostly 2’s: You’re probably more structured for the ACT! But overall take the test you think you will do better on. The best way to do this is to take practice exams and compare your scores. 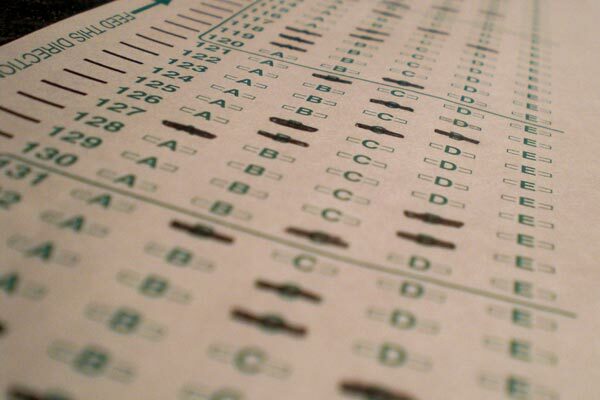 Colleges are looking for the test that will get you your highest score!